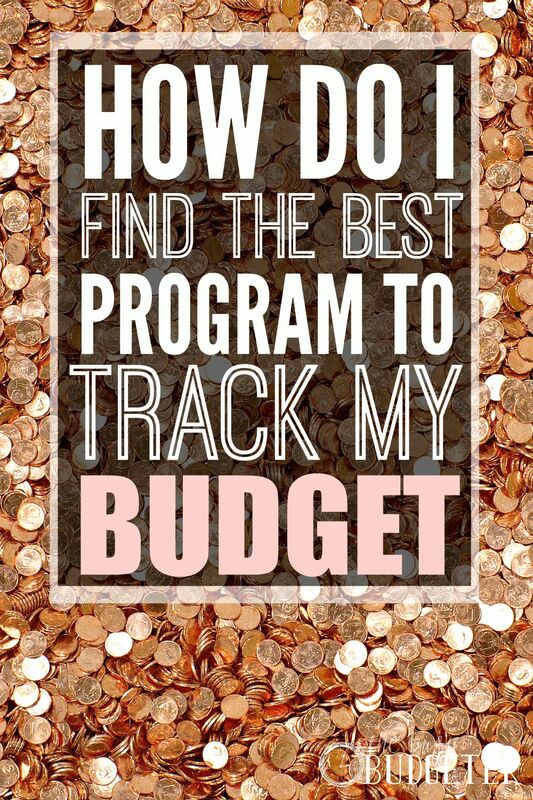 Figuring out how to track your budget is the most important budgeting tips. A budget is completely useless unless you keep up with it. If you don't track new charges and keep it updated, then it won't matter how fancy the budget that you set up was, it's useless. 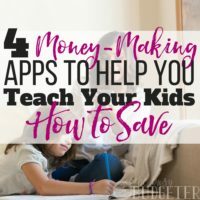 I wanted to go over my recommendations on the best budget apps as well as talk about what I look for in a good budgeting system. The most important thing to remember is that the best budgeting system is the system that you will actually use. I don't care if you chisel your budget into stone slabs in the backyard as long as you actually use it. Automatically adds bank transactions for me. Remembers common purchase categories (like it knows that “Starbucks” goes under “Jon's Personal Money”). Has a very user friendly app. Allows me to attach notes to transactions (so I can remember what purchases were for if needed). Allows me to update quickly (slow programs means I dread updating). Allows me to run custom reports (so I can see where we're improving). Saves my information indefinitely and lets me download it to my computer. Has stability (I want to make sure if the system fails, they have customer service and that months of upkeep won't be lost). Tracks things related to my “total picture” not just my budget. Things like my savings accounts, my debt pay off, how I'm doing financially in general. Bonus: Anything that makes it fun, like “goal tracking”. Lets me track cash purchases without affecting my bank balances. Is cost effective (I'm actually willing to pay for a budgeting system that saves me time and makes updating easy because I know exactly how much this saves me in a month… It's money well spent). Who it's perfect for: People that are living paycheck to paycheck and having trouble making ends meet. People with sporadic income. Watch a demonstration video here. Calendar Budget allows you to see your income and plan your expenses on a monthly calendar to ensure that you won't overdraw your account. Knowing that you make $4,000 a month and having a zero based budget doesn't help you at all if you attempt to spend $3,000 in the first week and overdraw your account. This is a common reason that budgeting doesn't work for people that live paycheck to paycheck. With Calendar Budget you can see that you have $1,000 coming in on the 1st, and then see how each bill due will effect your bank balance. You can even add things like “8.15.15 $20 for Suzie's Birthday Present”. Then when you buy Suzie's birthday present at Kids R Us, you can drag that transaction to “Suzie's Birthday Present” and combine them changing the amount to what you actually spent. They have customize-able reports and you can't get a better price then free! You can set a budget into the left sidebar and it will compare it to your spending for the month to determine if you're on track. The biggest drawback of Calendar Budget (and why I recommend it only until you have a good bank cushion in place) is that while it has a mobile site, it's lacks a user friendly app. The mobile site is almost useless but the full website is faster than doing the budget on paper, even though it's much slower than other budget programs out there. You have to manually save and upload your bank transactions and then you have to let the site reload after adding each transaction. My secret wish is that they start charging for Calendar Budget and then put the profits back into upgrading the system and rolling out an app. It's completely unique as far as budgeting systems go and there's nothing else out there like it. I should also note that Calendar Budget's customer service is amazing. I've written in 3 times, and everytime I do, I get a response back from the creator himself that answers my question. It's hard to beat that. You can sign up for Calendar Budget here. 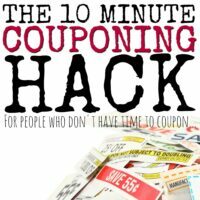 Who it's perfect for: People that hate budgeting. People brand new to budgeting. People that are looking for step by step instruction on how to get their budget set up and keep it working. You Need a Budget follows the gold standard in business: “pursue simple”. It takes you step by step through webinars and training to teach you what you need to do to create your first budget and make it work for you. It teaches you not to worry about yesterday and to just start your budget with what you have in your bank account today. This is a philosophy that I wholeheartedly stand behind because I talk to people every day that try to get their budget “set up” perfectly, and then keep putting it off until they can give it the time it deserves. Totally wrong folks. Just start the budget. You won't find a ton of bells and whistles here but for many people that I talk to, this is what they want. A simple, easy to use way to handle their budget. You Need a Budget (or YNAB) is downloaded to your computer and needs you to upload files from your bank to sync it. So it's not automatic but it will only take a few moments. Reporting is limited, but will likely handle what you need. 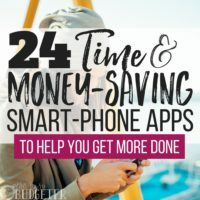 You Need a Budget has a user friendly app and I think this a solid middle ground choice if you're ready for something faster and more user friendly than Calendar budget, but you're not ready to pay for Every Dollar. Especially if you can score the “free for college students” deal. I'm a big fan of simple, easy to use with lots of support. You can sign up for You Need a Budget here. Perfect for: Fans of the Baby Step System and people that have a cushion in their bank account. (i.e. you won't overdraw if you don't track the exact dates that money is coming in and going out). If you use cash only, then this is ABSOLUTELY for you. Cost: $99 a year for Every Dollar Plus (you want this unless you use cash only), or free for cash only (where you don't need it to sync to your bank). It's no secret that I love Dave Ramsey. His Financial Peace University completely transformed the way my husband and I handle our finances together. So I was giddy with excitement waiting for this to launch. It was worth the wait. It's a super easy to use, fast budgeting system that allows you to use either the web based version or the iOS app with equal ease. Reports are easy to customize and great for visual learners. They work in your baby steps with goal tracking which was a fun extra for us. (Hint: anytime your budget is fun- that's a good thing! It means you'll actually update it more). One of my favorite things about Every Dollar is that they let you track cash only (a cash envelope system is what Dave Ramsey recommends anyway) for free. You need to enter your transactions in manually. If you want to sync to your bank account, you'll need to pay $99 for a year of service. My second favorite feature of Every Dollar is that they make it easy to track monthly amounts that are “holding”. Things like a vacation fund, where you put $25 aside every month to add to your vacation fund. Hint: If you end up going with a program that doesn't have this feature, consider opening up several savings accounts to handle that money. That's one of my favorite tricks from His and Her Money. You can read my full opinion on Every Dollar here. You can sign up for Every Dollar here. What about the other budgeting programs? There are tons of others out there. I've used most of them, and wasn't as impressed as these three. One important note though: If you know what you're doing budget wise and want more advanced features, then look into Quicken. Quicken has a LOT of bells and whistles and I don't recommend it to someone new to budgeting because you can get overwhelmed. But, for the price, it's great for an advanced budgeter. You can buy Quicken here. What if I run a business? I keep my business budget separate from my household budget. I have prior experience as a treasurer for a local non profit using Quickbooks and hated it. It's not very user friendly at all. 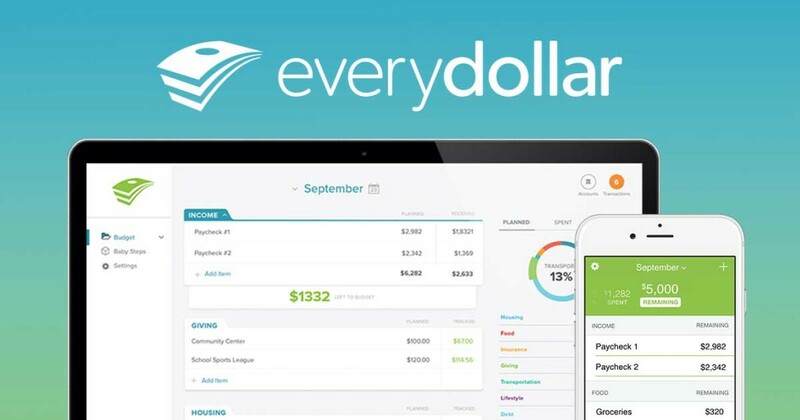 I begrudgingly tried the Quickbooks: Self Employed web based app (with a smart phone app as well) and fell in LOVE. WOW, What a huge difference from the Quickbooks that you download to your computer! It's user friendly, very fast to update, has great customer service, and automatically updates my transactions. They even make it easy to separate business from personal funds if you break the business rule of keeping those accounts separate. I happily recommend Quickbooks: Self Employed to anyone. This is different from the Quickbooks that you download to your computer- you won't be pleased with me if you buy and try to use that one. Just use this link to purchase if you aren't sure. That leads you to the right one. For those that need to save money but that don't need to track their budget (or won't track their budget), then Digit is the best thing you can do for your finances. It tracks your spending over a long time to learn your behavior, then removes small amounts to a savings account for you when you won't notice it. Digit is so confident that they won't ever overdraw your account that they guarantee it and will pay the fees if you do. I originally hated this concept, but after readers raved about them and I tried them out for myself, I felt differently. I can see the appeal. If you know that you won't do the work for a detailed budget and make most of your purchasing decisions based on your account balance then Digit is pretty effective. Want to go the old fashioned way and hit the budget with paper and pen? I'm a big fan! 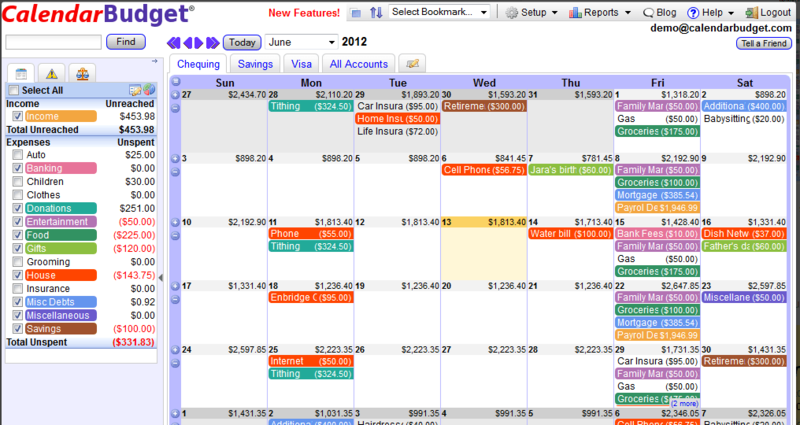 We had a great system that worked well for us, you can read about our paper calendar budget here. Want to learn about the budgeting tips that helped us pay off our $40,000 in debt? You can read about our budgeting tips here! Now, go forth and budget! What do you use to track your budget? Have you tried any of these? Man thanks for this post Rosemarie! I’m currently using Mint and while I liked it at first I now find it doesn’t really help me because I keep just going over budget anyway. Definitely going to try Calendar Budget! What I don’t like is there online. The YNAB has been updated – it is now a yearly charge and is web-based with an app to go along with it. Another budgeting software similar to YNAB is called GoodBudget – its free up to a certain point (its an envelope system – go over the allotted envelopes and it is $55/year). I’m curious about MInt.com I have family members who use it and like it, I saw the investing application in it. I am just looking for more knowledgable opinion. I kind of live paycheck to paycheck, but thats only because I don’t currently budget and once I do I should have money to save. Thanks in advice. I’ve started to use Quicken and LOVE It! Although, the app for quicken has bad reviews (I’ve personally haven’t used it). I love sitting down in the evening to type in what we spend for the day, and look at our budget. It has made a big difference in keeping our finances in line. 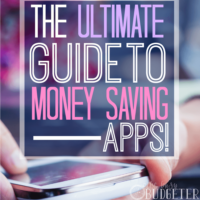 What do you think about apps which can help us better manage our finances and at the same time helps us save and make investment? I love YNAB!! It really changed my life and the way I looked at budgets. To be honest, I never even really budgeted before. They have recently changed their payment scheme though. I believe its $5/month or $45/year. It is still really worth it! I currently and for the past 9 years have used a paper budget. I am wondering if quicken would be a good switch though. I would really like all the info in my face if you will instead of looking at all the accounts each month. Also, I kinda like the idea of setting goals with quicken. I am working with people and their budgets and would like to recommend YNAB bc I do believe it is a good system. But, I am a fan of the paper pen system too. I truly think it is the best way to start. Thanks for this post!